Fish in Okoboji, Iowa with JTG Expeditions, your professional Okoboji fishing guide and Spirit Lake perch fishing guide. Ice fishing is a rapidly growing sport. John ice fishes on Spirit Lake and West Lake Okoboji in the winter. 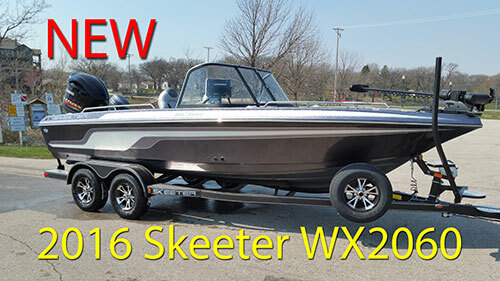 West Okoboji is a very unique lake to ice fish because of its clarity. Most days you can actually watch the fish eat your bait. JTG Expeditions has several portable heated ice fishing shacks for some of the best ice fishing in Iowa and the upper midwest. Everything is provided except a snack or beverage. JTG Expeditions, your Okoboji, Iowa, fishing guide and Spirit Lake, Iowa perch fishing guide, provides all your fishing equipment...rods, reels, bait and tackle and you'll head straight to the fish. All you have to do is dress appropriately and bring something to eat or drink if you wish. You can expect to catch bluegills, smallmouth bass, walleyes, largemouth bass and maybe even a northern or muskie. 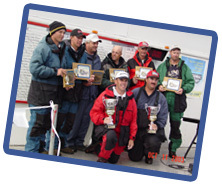 John has been a professional fishing guide on the Okoboji chain of lakes and Spirit Lake since 2001, and in 2003 he placed 4th in the Grand National Walleye Cup National Championship. John acquired his love for fishing as a young boy on the English River in Northwest Ontario, Canada. John's family spent several summers at Manitou Falls Camp, near Ear Falls, where his dad was a fishing guide. John would spend nearly every day fishing off the dock catching walleyes and northerns while his dad had clients in the boat. Before starting his guide business, John spent nearly 10 years as a television news anchor/reporter at KTIV in Sioux City, Iowa, and WOI-TV in Des Moines, Iowa. In 1996, John moved to the Lakes area as a Marketing Director for Arnolds Park Amusement Park and was in charge of all the concerts and entertainment at the new Roof Garden for 4 years. John's love of fishing is evident by the way he works with his clients to make sure they catch fish. From first time fishermen to the most experienced... everyone has fun and everyone catches fish. Take a half day and relax with your fellow workers. John can organize several guides to get your group on the lake and catching fish.